Night Blossoms wedding invitation against a black background. The following fonts have been used on the invitation above. Designed by Japanese type designer, Daisy Lau is an antiqued and rough looking script typeface based on Hongkong ladies’ script in the 19th century. It features inky texture that gives the typeface a realistic handwriting appearance. 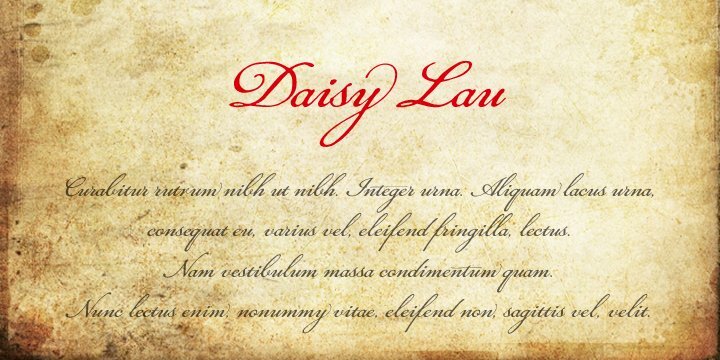 You can buy and download Daisy Lau at Myfonts.